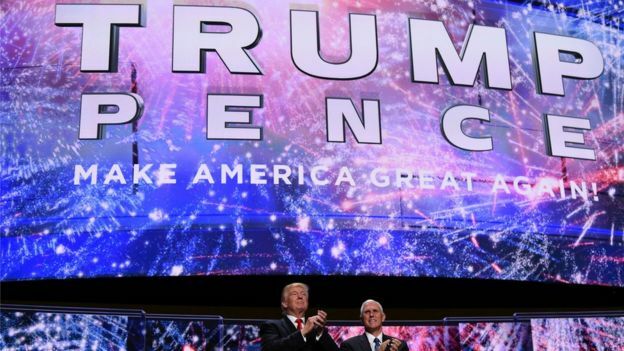 When lifelong Republican Jennifer Williams arrived at the party’s National Convention in Cleveland this summer, she felt nervous. Although she was excited to be an honorary delegate for New Jersey, she was worried about how others would respond to her. She had attended many political events before this, including both of President George W Bush’s inaugurations, but this was to be her first party convention – and one of the first political gatherings she would attend as Jennifer. As the sole transgender delegate at the event, so far as she could tell, she knew there was a possibility some would not welcome her with open arms. “I was wary of my surroundings” she says. 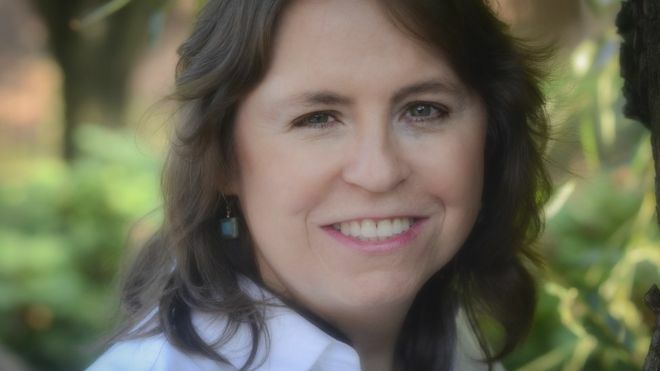 Jennifer is a filmmaker, writer, parent and Republican county committeewoman. Born into a family of military veterans, her assigned gender at birth was male. She always felt different from those around her but couldn’t quite pinpoint what it was. 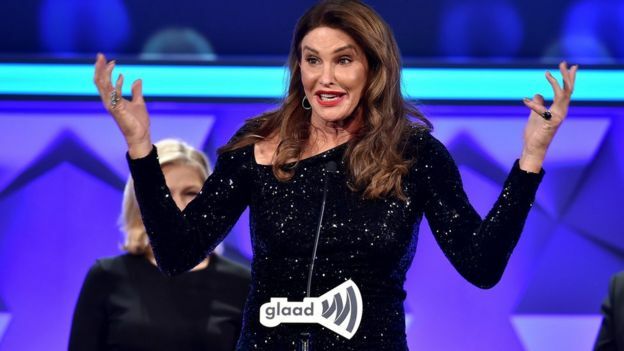 Jennifer says transgender celebrities like Caitlin Jenner – also a Republican – have had a positive impact. “We didn’t have cable television for a good while and there were no library books for non-adults, so I didn’t have any context for how I was feeling or what I was going through,” she says. As she grew older, she began to suspect that she identified more as a female. Over time, she developed coping strategies to push these feelings aside and fit in with her friends and schoolmates. The White House says gender identity is a civil rights issue. But the pressure of suppressing her true identity steadily mounted. About seven years ago, she felt things began to “come to a head” and she finally admitted to her wife that she was transgender. By then, thanks to the internet, a lot more information had become available. But her actual transition to her “authentic self” took several years. For a long time, Jennifer had been the sole Republican in her family, most of whom were committed Democrats. But as she transitioned from one gender identity to another, she also began to wonder whether staying in the Republican Party was the “right thing to do”. “I want to see our government help to create the conditions so if someone wants to work hard and succeed, they can be rewarded for their diligence and sacrifice,” she says. She supports limited government and holds conservative views on foreign policy and fiscal issues. But the issue of LGBT rights is one area in which she finds herself very much at odds with her party. She is “disappointed” in some of the rhetoric used by its leadership. For her, there is an inconsistency between the party’s position on the individual rights of Americans to own guns, and the individual rights of LGBT Americans to live their lives as they choose – something some Republicans do not accept. “If you want to support personal liberty, you really should be consistent and do it in all areas,” she says. “You can’t talk the talk on guns and not talk the talk on liberties and personal freedom,” she says. This is “contrary to the party I grew up with and I’ve known”, says Jennifer. The Title IX resolution is part of an ongoing political row over the issue. 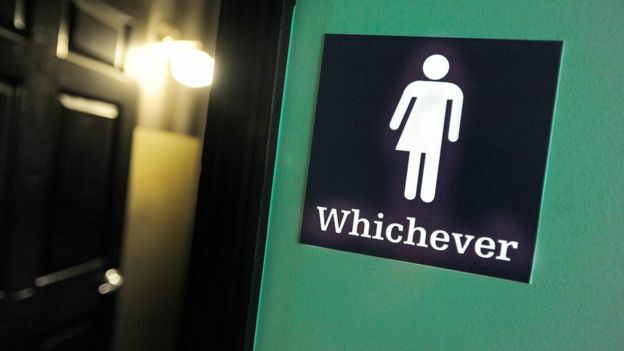 In March, the US state of North Carolina enacted a law which means people must use the toilet that corresponds with the gender on their birth certificates. Shortly afterwards, the Obama administration issued a directive ordering public schools to allow transgender students to use the toilet that matches the gender they identify with. Twelve states announced they will sue the federal government over it, and in August, a Texas judge approved a temporary injunction suspending it in the state. Jennifer is also concerned about the selection of Indiana Governor Mike Pence as the running mate of Republican presidential nominee Donald Trump. In 2015, he signed into law a religious freedom bill, which some saw as anti-gay. Although she agrees with Pence on some issues, she is “troubled” by his track record with the LGBT community, she says. Jennifer disagrees with some of the Republican Party’s official positions on LGBT rights. While some polls suggest that Americans who identify as LGBT are much more likely to be Democrats, Jennifer wishes to challenge the stereotype that all LGBT people must hold those political beliefs. Although initially apprehensive, Jennifer says found the party’s convention a “very welcoming place”. While she didn’t disclose the fact she was transgender to everyone she encountered, with those she did, she felt she had a “good conversation”, and spoke at length about other political issues too. But, although she is a committed Republican, the Trump-Pence campaign has still not convinced her that it should have her vote in this year’s presidential election. “My jury is still out,” she says. This piece was originally published in the BBC Magazine.